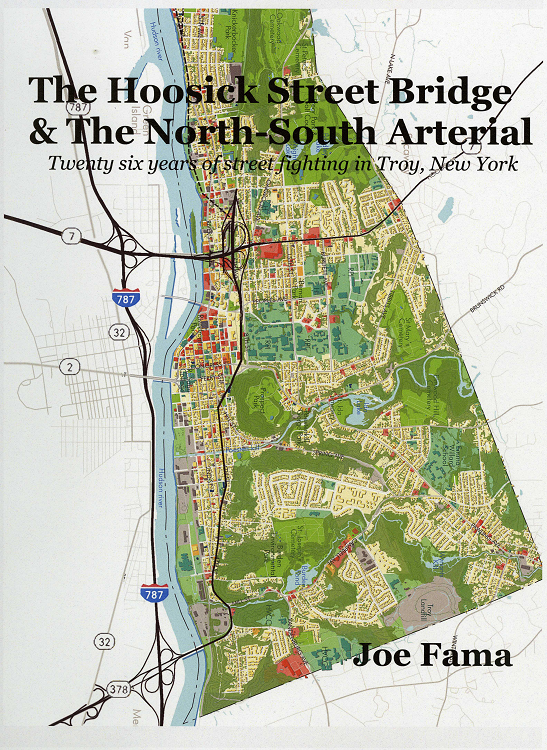 Our guest speaker for Thursday, April 4th is Joe Fama, author of The Hoosick Street Bridge & The North-South Arterial, Twenty Six Years of Street Fighting in Troy, New York. As the former director of the Troy Architectural Program, (TAP) for forty years, Joe was at the forefront of working with the people who lived in the neighborhoods that were impacted by the building of the bridge. He will discuss the project, the misconceptions relating to the North-South Arterial, and how this massive urban renewal endeavor continues to affect the residents of the City of Troy and Rensselaer County.